With our partners at Colorado Children's Campaign, Clayton Early Learning is ready to take Colorado by storm as we join ZERO TO THREE's Think Babies™ campaign and call on policymakers to make the potential of every baby a priority, including those here in Colorado. The Think Babies campaign is designed to bring national attention to the many issues that affect what babies and families need to thrive. Key campaign priorities include: quality, affordable child care; time for parents to bond with their babies; healthy emotional development; and strong physical health and nutrition. This year marks the first time that ZERO TO THREE will partner with leading children’s advocacy organizations in six states to bring Think Babies closer to home. Other partners for Think Babies state action include:Georgia Early Education Alliance for Ready Students; Advocates for Children of New Jersey; Child Care Services Association in partnership with North Carolina Early Education Coalition; Rhode Island Kids Count; and Children’s Alliance in Washington. Clayton Early Learning encourages everyone to become part of the team that is fighting for our future. 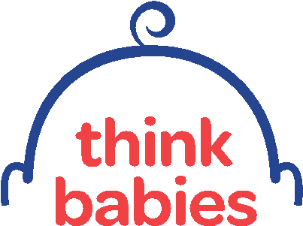 Sign up at thinkbabies.org today to learn more about Think Babies and to find out how to take action!